Easton received the invitation of a lifetime to join Bass Pro Shops Founder Johnny Morris for the Grand Opening gala to open the new Wonders of Wildlife National Museum and Aquarium in Springfield, MO on Wednesday night. The official kickoff of WOW was presented in honor of former president George H.W. Bush. 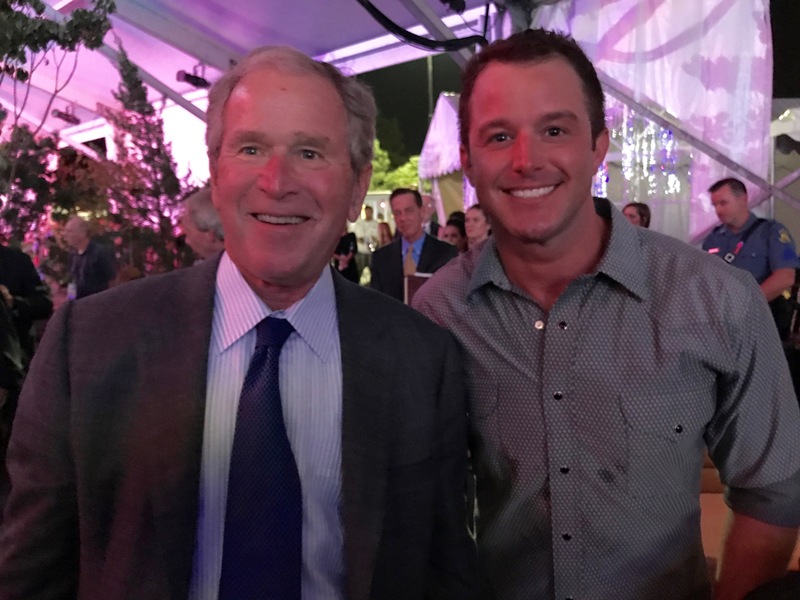 Corbin joined an elite list of invited guests that include leaders in music, hunting, fishing, racing and conservation including former Presidents George W. Bush and Jimmy Carter. The Bass Pro Shops closed for the day to prepare for the evening coat-and-tie gala for conservation leaders and invited guests. A live televised concert featured Corbin, Oscar-winning actor Kevin Costner and some of country music’s biggest stars and outdoor sports enthusiasts Dierks Bentley, Luke Bryan, John Anderson, Chris Janson, Tracy Byrd and Craig Morgan performed for the gala crowd. Simon Roosevelt, the great-great grandson of President Theodore Roosevelt, joined dozens of hunting, fishing, racing and conservation leaders during a VIP preview tour of the massive aquarium and wildlife museum at 500 W. Sunshine St. Along with Corbin, fishing legends Bill Dance, Jimmy Houston, and Roland and Scott Martinand other top anglers and top hunting legends Jim and Eva Shockey and racing legends Dale Earnhardt Jr., Tony Stewart and Martin Truex Jr. and others got a sneak peek at the 350,000-square-foot aquarium and museum. Secretary of the Interior Ryan Zinke joined Sen. Roy Blunt, Congressman Billy Long, Missouri Gov. Eric Greitens and many other state and local leaders during the official ribbon-cutting ceremony. The gala was billed as a fundraising event for Wonders of Wildlife, which is a not-for-profit charity foundation.